Sigma Fasteners provides quality bolting and coating for the energy industry. Sigma Fasteners is certified API Spec Q1, 9th edition and is ISO 9001:2015 certified. Sigma distributes standard bolting and manufactures custom bolts to customer specifications and per print following careful details of the latest revisions. and are on the approved vendor list of major wellhead, valve, flow control manufacturers, energy and petrochemical companies worldwide. We promise rapid and knowledgeable response and service. Please contact us with your requirements today. 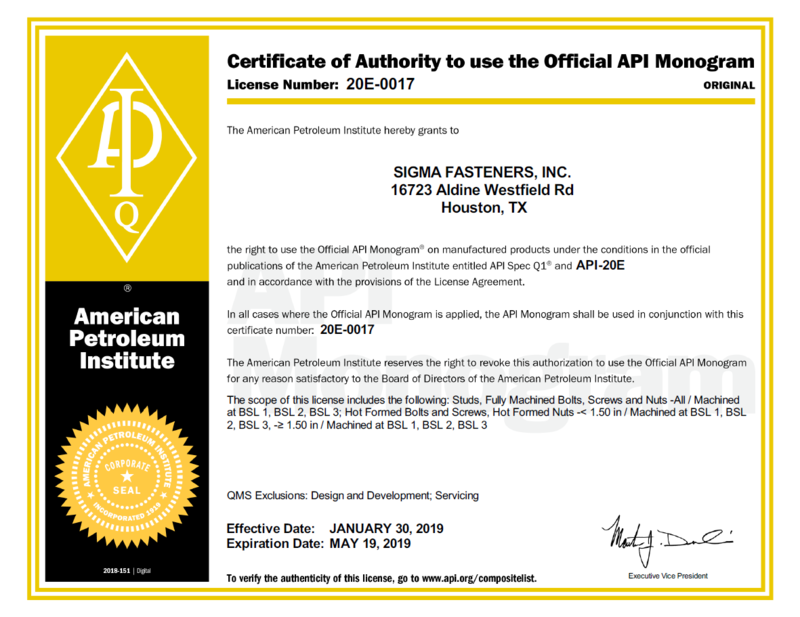 Please feel free to use the “Get Quote” form or to “Contact” form above right to send Sigma your custom bolting or standard fastener requirements.